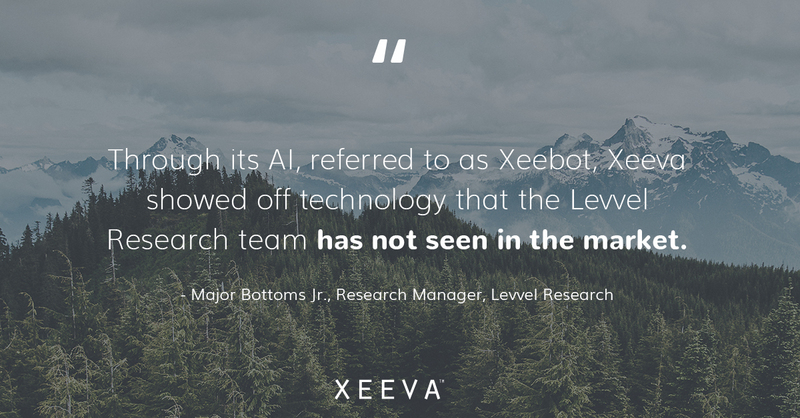 MADISON HEIGHTS, MI, December 5, 2018 – Xeeva, Inc., a global provider of award-winning AI-powered procurement and sourcing software, announced today that it won Levvel Research’s 2018 Technology Innovation Award. As part of its ninth annual Innovation Awards, Levvel Research, formerly known as PayStream Advisors, evaluated top software providers on their usage of emerging technology to “deliver especially intuitive, useful, and progressive features.” During the nomination process, organizations completed a survey, supplied customer testimonials, and provided a 30-minute demo of the innovation described. Xeeva won thanks to its patented AI technology and its progressive focus on AI changing the future of procurement. Its AI-driven solution can reveal insights and massive savings that other source-to-pay solutions can’t see and create procurement value and efficiencies in places others don’t even know to look. Xeeva’s advanced technology allows organizations to focus on what matters most and discover new ways to save. This award is just another notable accomplishment on a long list for Xeeva this year. Recently, it received distinctions, including “20 Most Promising Procurement Solution Providers” by CIOReview, “The Companies with Most Disruptive Innovation” from Insights Success, and “30 Most Innovative Companies” by CIO Bulletin. In addition, Xeeva was named a 2018 Gartner Cool Vendor for Procure-to-Pay Applications, and a winner in the 2018 SaaS Awards for Best SaaS Product for Supply Chain/Warehouse Management. To see Xeeva’s AI technology in action and learn how it can drive real results for your procurement team, contact Xeeva today. Levvel Research is Levvel’s market research practice, developing high quality market research content focused on business strategy, technology, and process improvement. Levvel Research’s team of industry analysts and research experts leverage in-depth research methodologies to explore trends in technology areas that are relevant to you. Levvel’s research reports, white papers, webinars, and tools are available free of charge in the resource library at Levvel.io. Levvel Research is a division of Levvel, an IT consulting firm specializing in technology strategy, design, architecture, and DevOps.